Wayne started this project when he was on the other side of the fence, convinced that no plane hit the Pentagon. He was working on a compilation to prove that case and ended up convincing himself otherwise. Anyone who snaps back with a dismissive response in the first 10 minutes has no business commenting. This represents a massive effort and deserves careful consideration and study. New entries have been added to the Complete 9/11 Timeline at History Commons, which describe many incidents relating to the 9/11 attacks, including new details of what happened on September 11, 2001, and some notable pre-9/11 events. Several new timeline entries describe incidents that occurred on September 11 in World Trade Center Building 7, a 47-story skyscraper located north of the Twin Towers that collapsed at 5:20 p.m. that day. At 8:46 a.m., when the first hijacked plane crashed into the North Tower, the electrical power in WTC 7 briefly went off for reasons that are unclear. 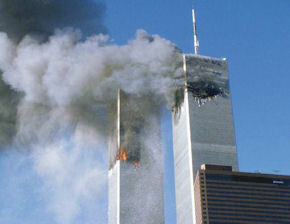 Similarly, at 9:03 a.m., when the second hijacked plane hit the South Tower, "primary power" was lost and alarms warned that there was no water pressure in the building. The following year, this anti-Constitutional stance was rewarded when Sunstein was made director of the White House Office of Information and Regulatory Affairs. Members of the 9/11 Truth Movement responded with detailed criticism. In the aftermath of 9/11, those in power who failed to protect the US and defend the Constitution before 9/11 used the attacks as a pretext for suppressing rights and launching wars - and they still do. Those doing so have received public support, and increased authority and budgets from the Executive branch and Congress. Whistleblowers and witnesses pointing to false statements and other wrongdoing were silenced and punished, and still are. There were limited IG and congressional inquiries, and then the 9/11 Commission. All of the Commission's members and half its staff had political, professional, personal and/or economic conflicts of interest. Its investigation and final report ignored or spun important evidence and witnesses, as well as the vast majority of the questions posed by the Family Steering Committee. Without the efforts by 9/11 families, there may not even have been the 9/11 Commission. 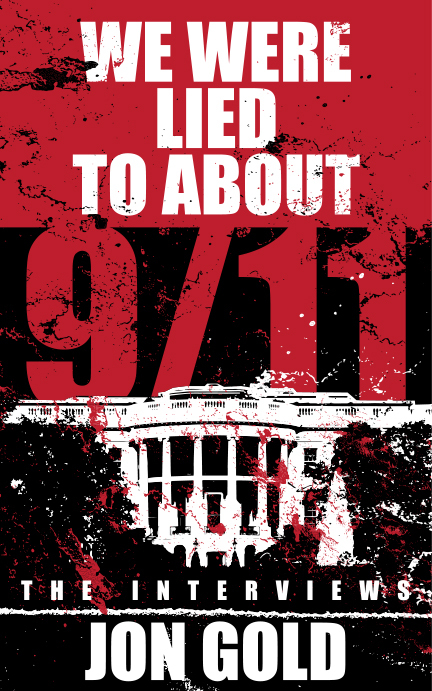 A new book by by researcher and activist Jon Gold documents and examines all of this: We Were Lied to About 9/11: The Interviews. There was an increase in security at the Trade Center in the two weeks before 9/11, for reasons that are unclear, which only ended the day before the attacks. Also, the fire alarm system in World Trade Center Building 7 was placed on "test condition" every morning in the seven days before the attacks and on the day of 9/11. While it was in this mode, any alarms would be ignored. WTC 7 was a massive skyscraper located just north of the Twin Towers, which mysteriously collapsed late in the afternoon of September 11. And some of the elevators in the Twin Towers were out of service in the months before the attacks, supposedly due to maintenance work or modernization.